Disassemble the A/C refrigerant components. Refer to the appropriate repair procedure. Cap or tape the open A/C refrigerant components immediately to prevent system contamination. Cap or tape the A/C refrigerant components. Remove the sealing washer (1) from the A/C refrigerant component. Inspect the seal washer for signs of damage to help determine the root cause of the failure. Inspect the A/C refrigerant components for damage or burrs. Repair if necessary. DO NOT reuse sealing washer. 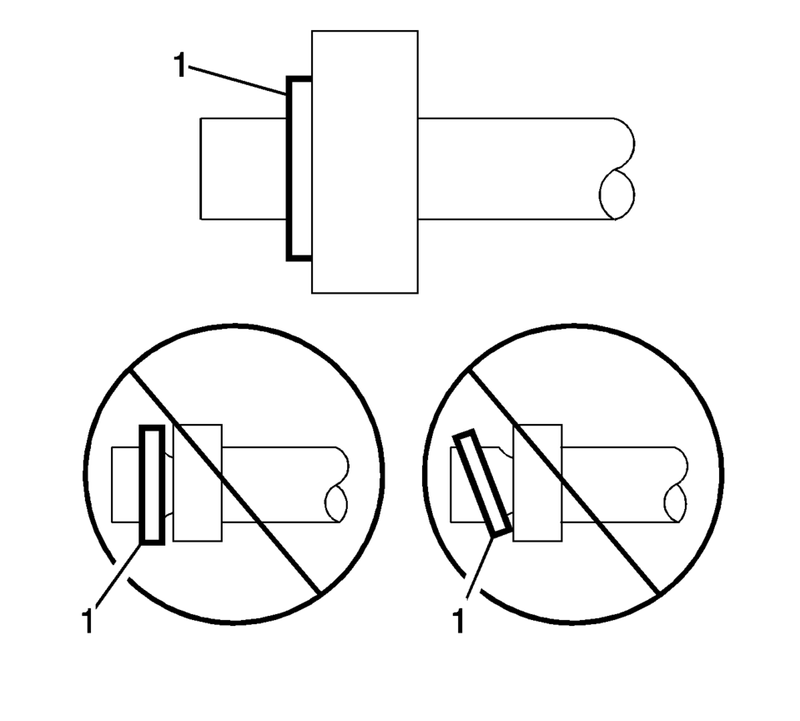 Flat washer type seals do not require lubrication. Inspect the new sealing washer for any signs of cracks, cuts, or damage. Do not use a damaged sealing washer. Remove the cap or tape from the A/C refrigerant components. Using a lint-free clean, dry cloth, clean the sealing surfaces of the A/C refrigerant components. Carefully install the NEW sealing washer (1) onto the A/C refrigerant component. 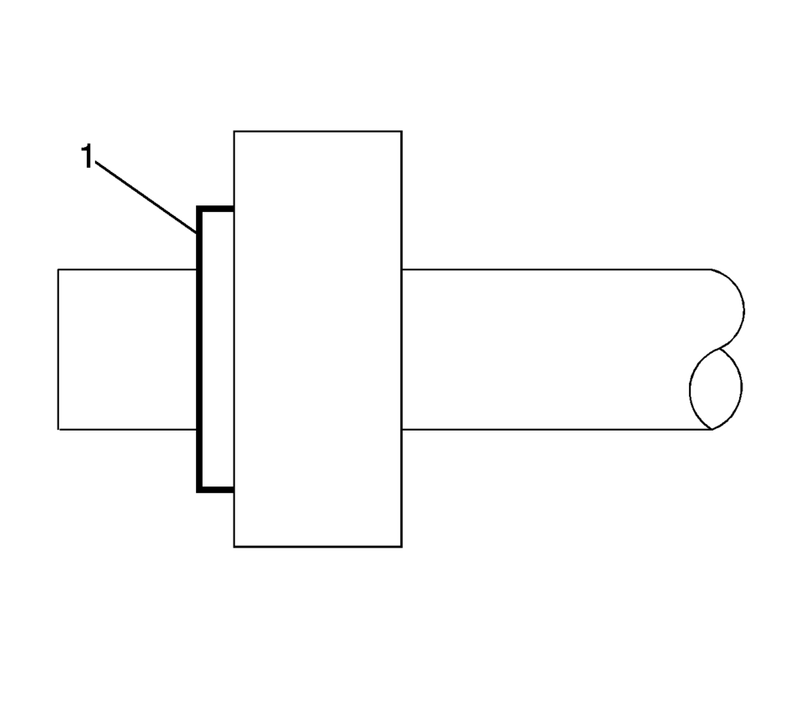 The sealing washer (1) must completely bottom against the surface of the fitting. After tightening the A/C components, there should be a slight sealing gap of approximately 1.2 mm (3/64 in) between the A/C line and the A/C component. Assemble the remaining A/C refrigerant components. Refer to the appropriate repair procedure.